Bristol lock Ian Evans will miss the rest of the season after sustaining an anterior cruciate ligament injury. The 30-year-old suffered the injury following a collision during Saturday's Championship win over Plymouth Albion. 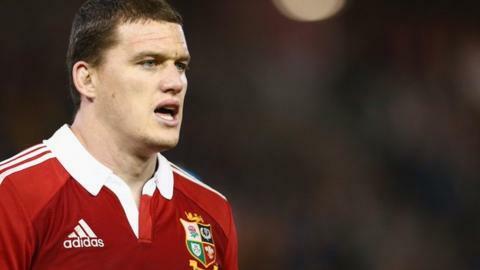 Evans, who has earned 33 Wales caps and toured Australia with the British & Irish Lions in 2013, has made 18 appearances since his summer arrival. "We're disappointed to lose Ian at such an important part of the season," said Bristol boss Andy Robinson. Bristol have already qualified for the end-of-season play-offs, which will decide who wins promotion to the Premiership.